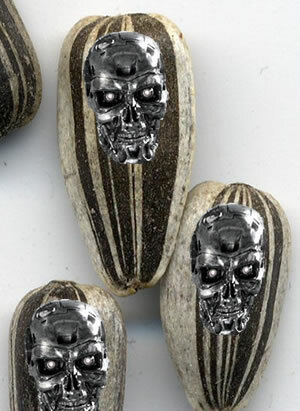 Under Order 81, Iraqi farmers are now required to buy genetically engineered terminator seeds from corporations like Monsanto, Cargill and the World Wide Wheat Company. These seeds produce plants which, in turn, produce more seeds; however, these second generation seeds are sterile. Farmers are forced to purchase new seeds each year. Order 81 interferes with a tradition that is at least six thousand years old; farmers in Mesopotamia have been saving wheat and barley seeds since 4000 BC and probably much earlier. Indigenous seeds (natural seeds from hundreds of varieties of crop) are declared illegal, because they infringe on corporate rights to the natural world. In an Orwellian turn of phrase, Order 81 is subtitled "Plant Variety Protection." SF author Jack Vance wrote about a planetary government obsessed with protection of its biological intellectual property rights. In his 1954 story The Houses of Iszm, the Iszic used their knowledge of plants to create enormous house trees that grew large pods for living space. The Iszic developed intensive security and surveillance systems to make sure no one stole a female plant, which would break their monopoly. From Mutant Seeds for Mesopotamia; read more about terminator seeds.